Download festival 2019 is go! Following a super-successful 2018 with headliner sets from Avenged Sevenfold, Guns N' Roses and Ozzy Osbourne, the plans are already forming for next year's instalment. Here's everything we know about Download festival 2019 so far. When is Download festival 2019? 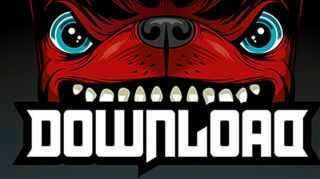 Download festival will take place on the weekend of 14-16 June 2019. The campsites will open on Wednesday 12 June. Where is Download festival 2019? Download festival will take place at Donington Park, Derbyshire, the former home of the iconic Monsters Of Rock festival. Where can I get tickets for Download festival 2019? Tickets for Download festival 2019 are on sale now. There are camping, non-camping and RIP options currently available. Day tickets are expected to go on sale nearer the event. Who is playing Download festival 2019? The three headliners for this year's festival are Def Leppard (who'll play their Hysteria & More set) on Friday, Slipknot on Saturday, and Tool on Sunday. Other bands booked to appear include Slash Featuring Myles Kennedy and The Conspirators, Whitesnake, Rob Zombie, Trivium, Slayer, Anthrax, Lamb Of God, Smashing Pumpkins, Dream Theater, Eagles Of Death Metal, Blackberry Smoke, Alien Weaponry, Badflower, Black Futures, I Prevail, The Interrupters, Jinger, Amon Amarth, Man With A Mission, Nothing, Nowhere, Our Last Night, Riding The Low, Royal Republic, State Champs, Underside, Whitechapel, Yours Truly, Zebrahead, Aaron Buchanan, At The Gates, Bad Wolves, Batushka, Beartooth, Behemoth, Black Peaks, Brothers Osborne, Clutch, Coldrain, Conjurer, Crystal Lake, Deadland Ritual, Fever 333, Ground Culture, Halestorm, Heart of a Coward, Icon For Hire, Intervals, The Last In Line, Like A Storm, Lost In Stereo, Love Bites, Municipal Waste, Ne Obliviscaris, Redhook, Skynd, Stone Temple Pilots, Sumo Cyco, Those Damn Crows, Three Days Grace, Toska, Trash Boat, Twelve Foot Ninja, Vega and Wolfjaw. Here's the full line-up poster.